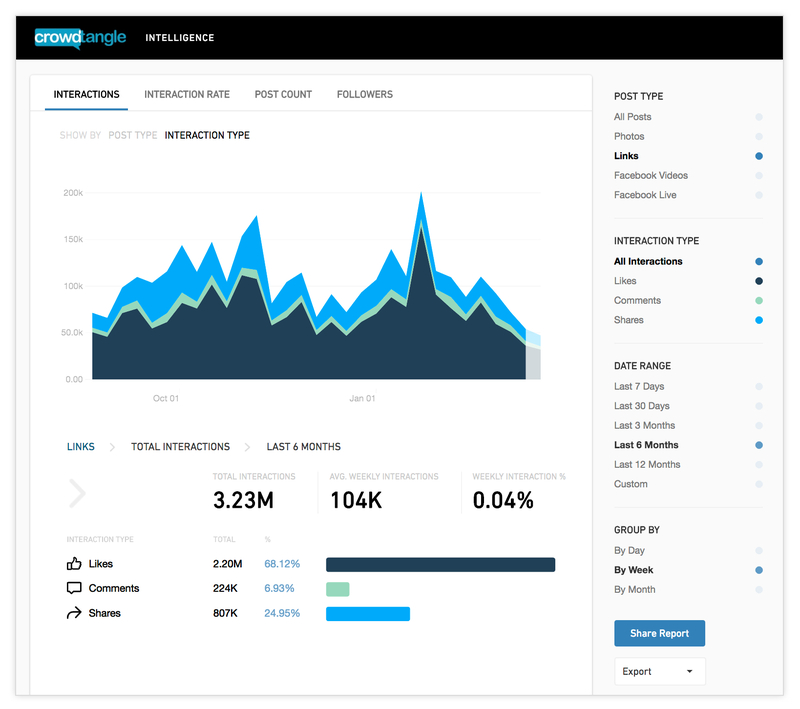 Today we're introducing a new account feature called CrowdTangle Intelligence that gives media publishers a quick way to see the performance of a social channel over time, as well as directly benchmark it against other accounts. Long-term performance numbers can help publishers understand overall trends and more easily analyze what content is working and what's not. Intelligence lets you put in up to 10 social accounts (on any of our platforms including Facebook, Instagram, Twitter and Reddit) and see overall account-level statistics over time with graphs and charts. You can also easily compare the accounts next to each other and export everything. We've been testing this feature with several partners and received feedback that this one-stop-shop for high level analytics has allowed social media managers and data analysts to save time when compiling higher-level reports. The easy-to-digest Intelligence reports spotlight the best-performing pages and help inform strategy as publishers look to apply winning practices to all their accounts. We're excited to make this feature available to all users beginning today, and we're constantly looking at ways to keep improving CrowdTangle. Stay tuned for future product updates here! There is a more information in our resources section (including a quick video).